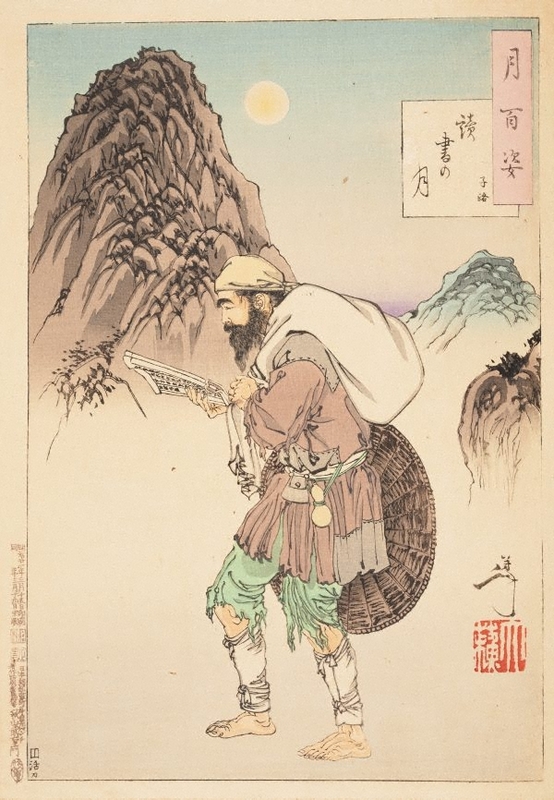 Zi Luo, one of Confucius’ most important disciples, came from a poor rural family. Despite his humble origins, he made enormous efforts to educate himself, rising in the ranks of civil service to eventually become a government official. He was also revered as one of China’s famous Twenty-four Paragons of Filial Piety. He was known to walk long distances carrying bags of rice, a luxurious good at that time, to his parents. Here, he is shown on one of those travels, profiting from the moonlight to study while walking.